Service is each Sunday at 5:00 pm. We meet at the old Flagstaff Middle School, 755 N. Bonito St. This location is just west of downtown, across the street from Marshall Elementary playground. Parking is also available around the back of the building by going west on Cherry (if coming from downtown), turning right on Aztec, turning right at the duck pond and following the road up the hill to the school parking lot. We believe something deep and meaningful happens when people come together. Being in one room with a mix of humans who have different cultural and spiritual backgrounds, different ages and phases of life, different wounds and wisdoms, and different purposes for showing up to church, this matters. This allows us to connect with others in order to have a fuller understanding of God’s love. This allows us to be surrounded by community while pursuing our relationship with Jesus. This allows us to go out, together, to serve others and impact the world. Jesus was all about unity. Let’s unite our breath with the melodies of hymns. Let’s unite our minds on the words of scripture. Let’s unite our hearts on the freedom of Christ. Most every Sunday we engage in a time of listening as our pastor, or a guest speaker, shares stories, scriptures, challenges, and a constant reminder of how loved we each are by God. 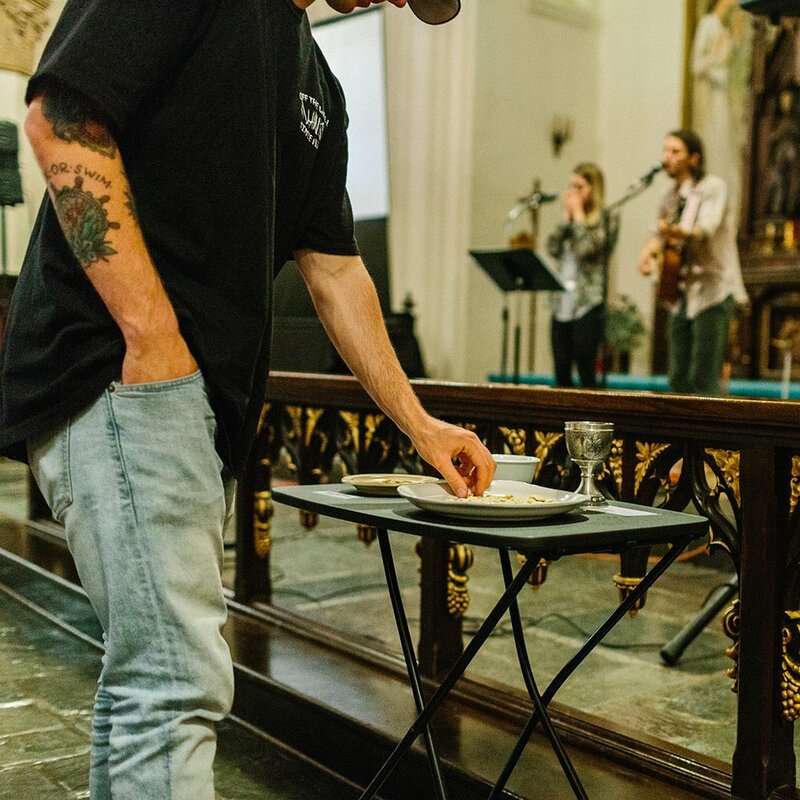 There are many ways to engage in worship. We believe that music is one of them. We turn to songs as a form of prayer. It is a beautiful way to connect with God and be reminded of truth through the poetry of lyrics. We also celebrate communion every Sunday as an open table. All are welcome to engage in bread and wine to remember the the life, death, and resurrection of Jesus. 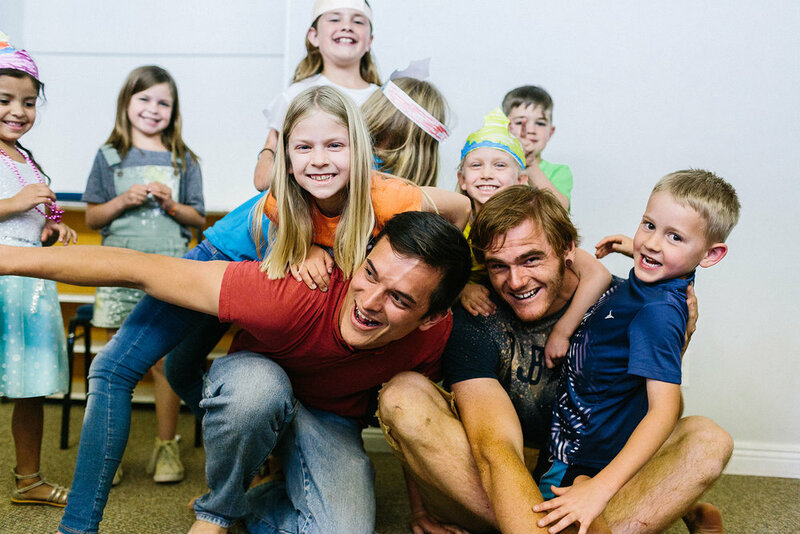 Our mission is that every child in our community (newborn to 5th grade) would consistently hear the good news of the Gospel and God’s love for them in a safe, fun and positive environment. Learn more about our Kid’s Ministry HERE. Youth Ministry is a group of leaders and students forming friendships, living life together, and learning about the love of Jesus. It's a place where any student is welcome to come and hear how known, wanted, and loved they are. Learn more about our Youth Ministry HERE. Share your email with us so we can keep you updated on what is going on at The Commons!